Very few issues generate the concern of an across-the-board pay freeze. That is understandable as the impact of a freeze is easy to understand and the financial impact is visible and distressing. Comments submitted by readers reflect the angst and anger of a possible freeze whenever the subject comes up—and it is now coming up loud and clear. There is apparently serious consideration of a federal employee pay freeze in 2019. Based on how a a pay freeze was previously proposed and implemented, we can see how a new proposal to freeze federal workers’ pay can evolve. In July 2016, the article Worst Case Scenario: Proposed Cuts to Federal Pay and Benefits outlined proposed changes to the federal employee compensation package. These proposals would reduce accrued federal employee compensation costs by about 10 percent between 2017–2026. The savings would reportedly total over $330 billion by 2026. In November 2016, the article Proposed Changes to Federal HR: From Worst Case to Possible highlighted proposed changes to the federal human resources system that were based, in part, on an assumption that federal employees’ pay and benefits were substantially more generous than in the private sector. As noted in that article, significant changes to the federal human resources system require action by Congress, and getting legislation through Congress is difficult. Most proposals will not emerge from this deliberative body. If they do emerge, they are likely to be different than originally proposed. Most of the most dramatic changes will not occur in the near future or may not ever occur. But, while change may be slow and the most dramatic changes will not occur, the underlying philosophy driving the changes are likely to result in some changes to the federal system—particularly if they are easier changes to make and do not require a massive overhaul of a complex existing system such as the federal human resources program. A new pay freeze would likely be similar to the three year freeze imposed during the Obama administration. It is a proposal that would be likely to have the most significant impact on the federal workforce. The comment in the document that a pay freeze can be done unilaterally is not the case. While Congress may choose not to become involved in determining the amount of any pay freeze for 2019, Congress does have the option to become involved. If there is to be a new pay freeze for the federal workforce, it will likely follow a similar path as the one that became effective in 2011. In November 2010, President Obama first proposed the pay freeze for two years. He blamed the Bush administration for making the freeze necessary. He proposed a 2 year freeze on civilian employee pay to affect all civilian employees, including those in the Department of Defense, but not military personnel. The White House said the freeze will save $2 billion for the remainder of FY 2011, $28 billion over five years, and more than $60 billion over 10 years. The freeze did not affect step increases, bonuses or promotions for federal employees. In 2013, the freeze was extended for a third year when Congress approved the extension by a wide margin. How Much of a Financial Impact Would a Pay Freeze Have on Employees? The “frozen” employee who had a high-three of $101,150 and had worked 30 years would have a CSRS annuity of $57,093 and a FERS annuity (1% factor) of $30,450. The “unfrozen” employee with a high-three of $106,135 and had worked for 30 years would have a CSRS annuity of $59,700 ($2,607 more) and a FERS annuity (1% factor) of $31,950 ($1,500 more). COLAs added to these amounts after retirement (after age 62 in most FERS situations) would increase the discrepancy. The pay freeze actually ended in January 2014. At that time, employees received an across-the-board increase of 1%. It was the first across-the-board raise since a 2% increase in January 2010. The freeze did not impact payments such as bonuses, overtime, within-grade increases and promotion pay raises. Federal agencies were required to accommodate the pay increases within their budgets. No additional money was authorized for the raise raise. Locality pay remained at the same level as in 2013. No one knows if there will be a pay freeze in 2019. There is a chance the initiative to freeze pay will never materialize and proposals will quietly disappear without any press release or fanfare. 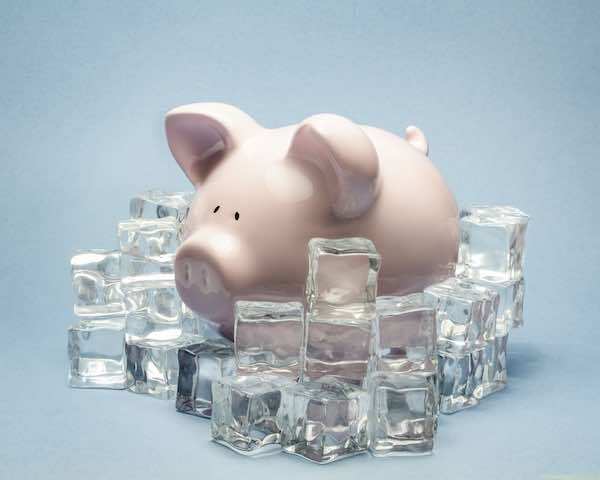 Those who make changes to their financial planning assuming there will be a freeze may be in a stronger financial position later if a freeze does become reality. Implementing an across the board freeze does not happen overnight. An administration can propose a freeze. While a freeze may appear to be implemented unilaterally, that only occurs if Congress demurs. Congress frequently does leave federal pay up to the president. It does not have to do so. Some readers have commented that since a freeze is not a certainty, federal employees should not spend time worrying about it and the media should essentially ignore it as it can be upsetting. There is some validity to that argument as worrying about a possible event beyond your control can be a waste of time and energy. If I were nearing retirement as a federal employee, I would pay attention and plan accordingly. For any employee who is not maxing out contributions to the Thrift Savings Plan (TSP), this would be a good time to increase your contributions as you may want or need the money in retirement. Looking at spending habits and making adjustments to lower spending may also be a possibility for some. A lower standard of living is not desirable, but ignoring the possibility of a financial hit that will have a financial impact into and through a long retirement may be less desirable than other options.